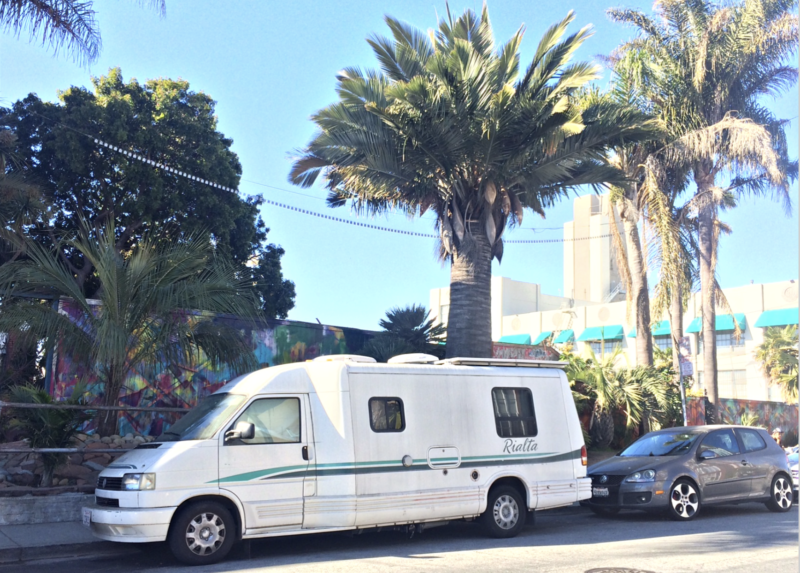 The San Francisco Municipal Transportation Agency Board of Directors has called for changes in a proposal that would regulate overnight parking of oversize vehicles on city streets. The policy was introduced by SFMTA’s lead on the project, senior analyst Andy Thornley at the regular Board of Directors' meeting on Nov. 6. The proposed regulations would have formalized board guidelines on parking for vehicles more than 22 feet long or 7 feet tall. The rules would cover RVs, boats, moving trucks, landscaping trucks and food trucks. However, upon discussing the proposal, the board directed the transportation agency's staff to revise the proposed policy. At the board's request, the revisions will include input from the city's Department of Homelessness and Supportive Housing. “I think there’s a lot that can be done without displacing people experiencing homelessness,” said the director of the Department of Homelessness and Supportive Housing, Jeff Kositsky. He said the agency has been considering approaches like designated safe parking or storing vehicles for people who have been moved into housing. “I have to admit, I feel hopeful about this situation for the first time since we’re started discussing it,” said SFMTA board member Cristina Rubke, a sentiment echoed by several other members of the Board. A city ordinance currently prohibits human habitation of a vehicle on any street between 10 p.m. and 6 a.m. The law has been on the books since 1971, but it has been difficult to enforce, Thornley said. A 2017 count conducted by the Department of Homelessness and Supportive Housing found that roughly 1,200 people, including children, live in cars, vans, buses or RVs parked on city streets. The MTA currently enforces rules using parking meters, Residential Parking Permits, and street sweeping — among other ordinances. But while restrictions encourage vehicles to leave certain streets, this has not resolved the issue on a city level. The board did not give agency staff a timetable for the revised policy.